MGA&D is the Design Architect and member of a multi-firm consortium responsible for the design and construction of the tallest statue in the world – The Statue of Unity which is being built at the Sadhu-Bet Island, approximately 3.5 km south of Sardar Sarovar Dam at Kevadia in the Narmada district of Gujarat, India. The statue is dedicated to the life and work of Sardar Vallabhbhai Patel, a prominent statesmen and social leader best known for his role in India’s struggle for independence and the state-building effort that followed. The Statue is conceived as a naturalistic and historically accurate representation of Sardar wearing characteristic garments and assuming a walking pose. Beyond the statue itself, the project includes construction of a hotel, a convention center, a memorial garden, a visitor center building, and a two-mile highway that connects the statue to the town of Kevadia, all master planned by MGA&D. A 30-foot replica of the 466-foot statue was erected in front of the state secretariat at Gandhinagar,India. 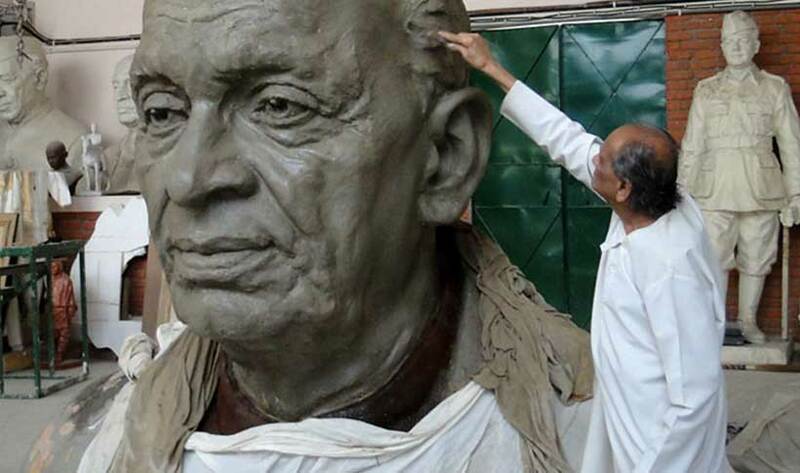 In October 2015, in honor of Sardar Vallabh Bhai Patel’s 140th birth anniversary, the subject of the statue, a 30-foot replica of the 466-foot statue was erected in front of the state secretariat at Gandhinagar,India which is located 3 hours from the project site. Anticipation for the larger statue’s completion is very high. Finishing touches on head of 30-foot statue in the artist’s workshop. Finishing touches on head of 30-foot statue in the artist’s workshop. 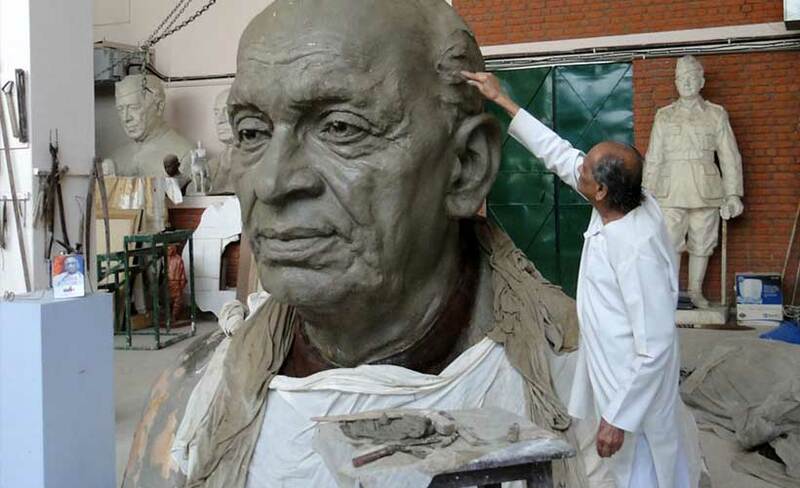 The Statue of Unity is being designed by Ram V. Sutar, 89, who has already created more than 200 distinct statues, many of them massive. Plaster molds for right and left foot of statue at fabrication plant. Over 175 tons of scrap iron from former farming implements have been donated by farmers to be melted down to create the rebar for the project. The project is sited in a drained riverbed. The project is sited in a drained riverbed. The construction team is in the process of constructing a man-made island that will support the base of the, 655-foot high statue. 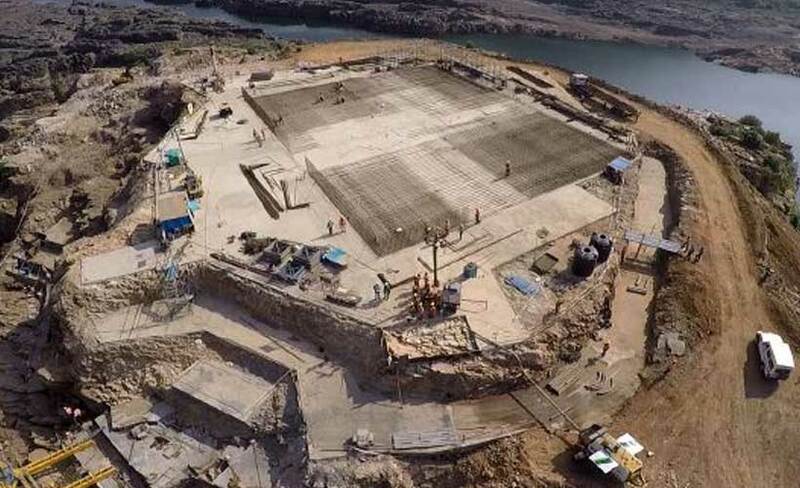 The Sardar Sarovar Dam damn is holding back water from the Narmada River that will be released following the statue’s completion to create the island. Bird’s eye view of project as of March 2016. Rebar and foundation for connecting bridge to mainland being laid. Concrete column footings and 20-meter thick retaining walls being built as base of statue. Confinement wall and concourse are concrete being poured. View toward base of statue. Progress being made on bridge to island. When completed, the Statue of Unity will be the tallest statue in the world. 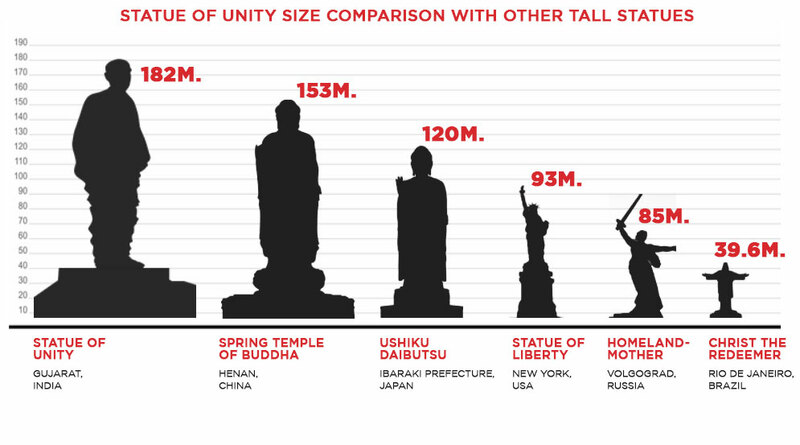 Chart shows comparison of height compared to other statues throughout the world. If a giant statue rises in the jungle . . .